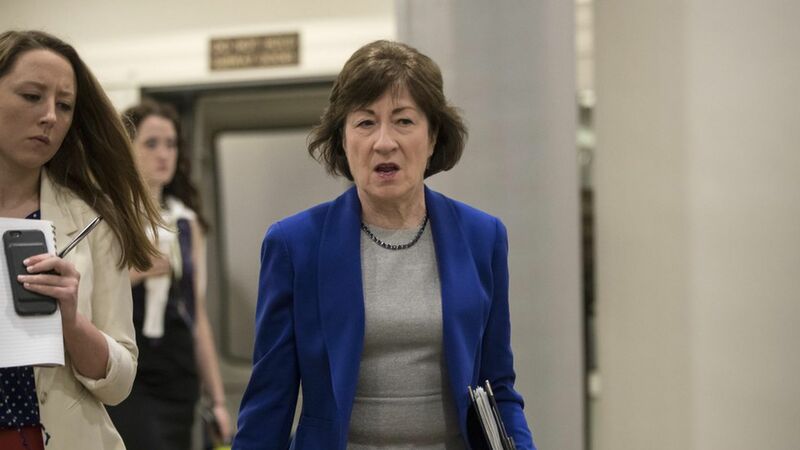 Sen. Susan Collins of Maine tweeted that she would be voting "no" on the Senate health care bill hours after the CBO released its estimate that 22 million fewer people would be covered under the plan. She explained that she wanted to "fix the flaws in ACA. CBO analysis shows Senate bill won't do it. I will vote no." Why it matters: Collins is the sixth senator to come out against the bill in its current form, and the third to say she'll vote against a motion to bring it up for a vote. That means the bill is stalled unless changes are made to convince senators to change their votes. The other skeptics: Ron Johnson, Ted Cruz, Rand Paul, Mike Lee, Dean Heller.